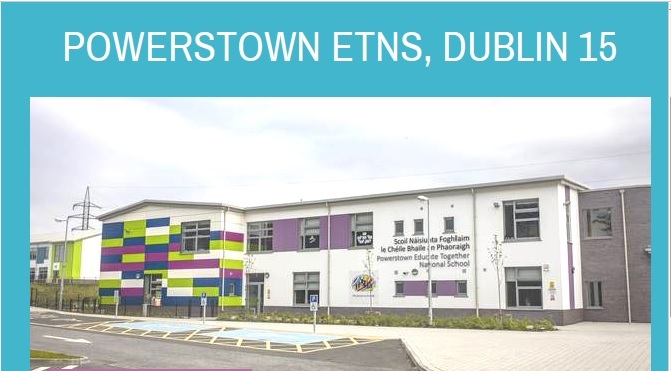 Powerstown Educate Together National School opened on the first of September 2011. As a new school, we had 22 Junior Infant pupils starting their first year of school with three teachers and a special needs assistant. These pupils are now in 6th class in the Kamilah room, completing their eighth year of education with us. Powerstown ETNS school continues to develop at a rapid pace. We were delighted to move into our permanent building in August 2016. We now have almost 300 pupils, 22 teachers, 12 SNAs, a secretary and a caretaker. We have 13 mainstream classes, two classes for pupils with Autism Spectrum Disorder (ASD) and one class for pupils with Developmental Langauge Disorder (DLD). 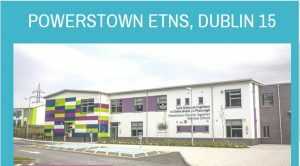 In Powerstown ETNS we provide a broad and balanced, child-centred curriculum.We place an emphasis on learning for life in a respectful, diverse environment, that promotes parental involvement. As an Irish National School we are fully funded by the Department of Education and teach all 11 curriculum subjects: Gaeilge (Irish), English, Maths, Science, History, Geography, Music, Drama, Visual Arts, Social Personal & Health Education (SPHE) & Physcial Educaion (PE). We also teach an ethics programme called Learn Together. 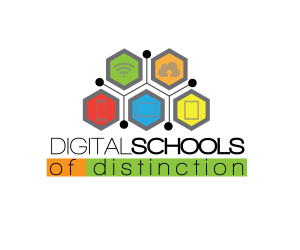 Powerstown ETNS is proud to be a Digital School of Distinction. Each classroom in Powerstown ETNS has an interactive projector/screen, visualiser, digital camera, ipad and laptop. Children have access to class ipads and chromebooks to assist in delivering curriculum objectives. There are numerous positive impacts of the use of technology in the classroom. These include; gains in children’s sense of positive identity ; increased enjoyment, engagement and motivation; and positive impacts on behaviour; as well as greater collaboration and participation in lessons by pupils . 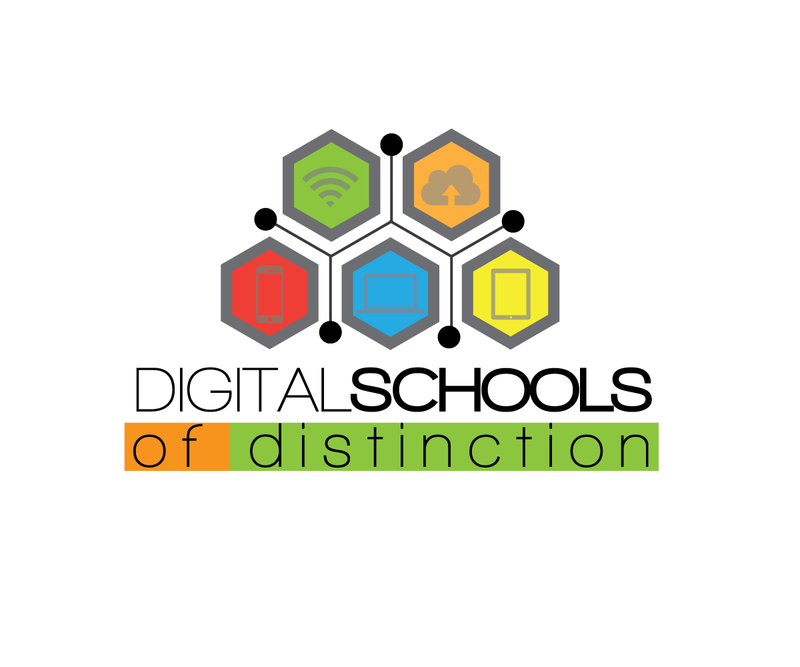 Technology also has the potential to help teachers to bring aspects of their outside world into the classroom, and thereby create more authentic contexts for situated learning , and to create more immersive and engaging learning environments. All children are encouraged to become actively involved in school life. Not only through academic, arts and sporting activities but also through representation on numerous committees. 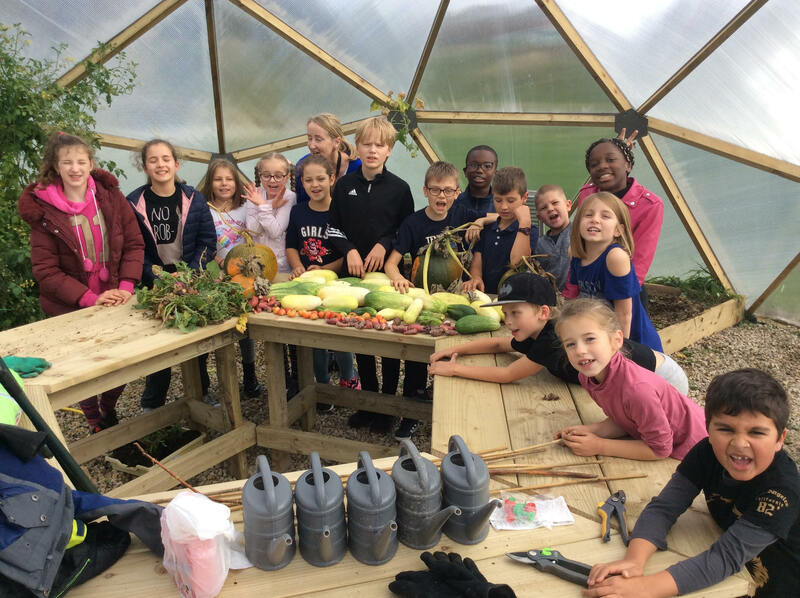 We have established a Green Schools Committee, a Student Council, Forest School and School Garden Committee and an Active Schools Committee. Please click on the committee name to find out more about them. Parental Involvement in Powerstown ETNS plays a fundamental role in our success. Parents are the primary educators of the children in our care. Parents partake in numerous parent & child workshops during the year. These activities include Maths for Fun, Science for Fun, Shared Reading, & Write a Book Project. Click here for more information. Parent classes are provided in the school. In the past we have hosted English classes, Irish classes, Cookery Classes and Arts and Crafts classes. Click here for adult classes and workshops available this year. We have a very active Parent Teacher Association in the school. Click here for the most up to date information from our PTA . We have 2 parent nominees on the Board of Management. Parents actively assist in our events e.g. Annual Fancy Dress Cake Sale, Winter Fair, Intercultural May etc. Check our school calendar for more information about events here. Parents volunteer their talents with us through out the year. e.g. Art projects, music projects, dance workshops. They also share their skills such as plumbers, electricians, carpenters etc.